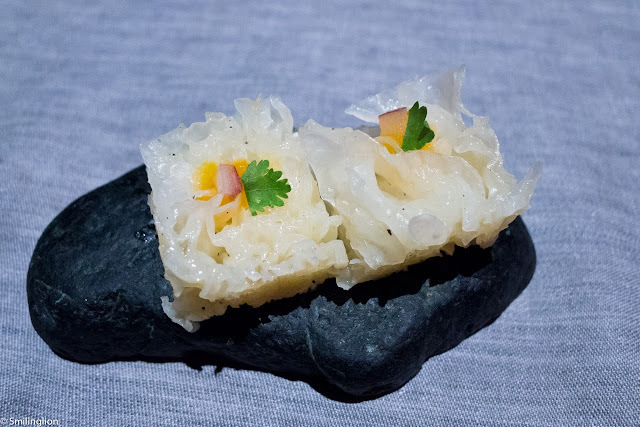 Comerç 24 is the flagship restaurant of Carles Abellan, an El Bulli alumni and one of the succeeding proponents in Barcelona of the avant garde gastronomy of the now-closed institution. 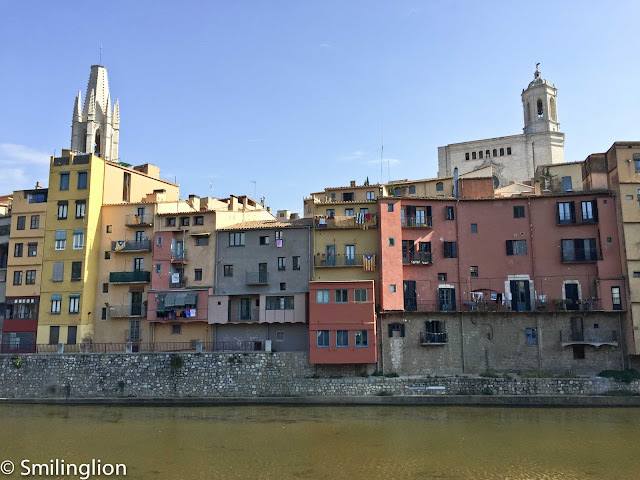 Located at the address from which it is named, it has one Michelin star and is the sister restaurant of our favourite tapas bar in Barcelona: Tapaç 24. The restaurant opens out into a rather busy street just off the El Born, and throughout the night, the colourful lights in the restaurant attracted countless pedestrians on the street who came in to find out what kind of place this was. 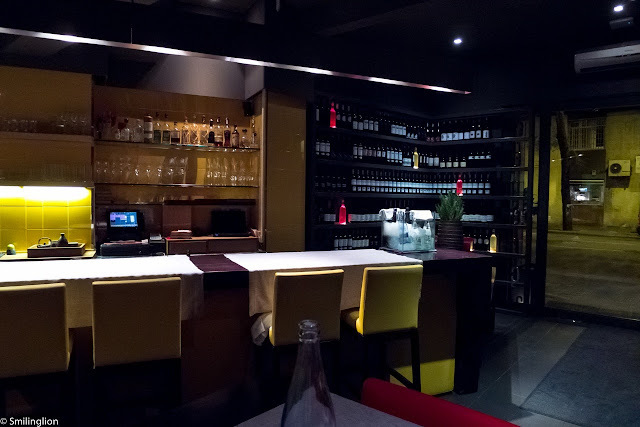 There was a mix of normal tables, bar counter seating and high table seating as well, and the vibe was quite relaxed yet trendy. The service was warm and friendly throughout the night and we settled in comfortably and looked forward to having the smaller tasting menu with some wines by the glass. 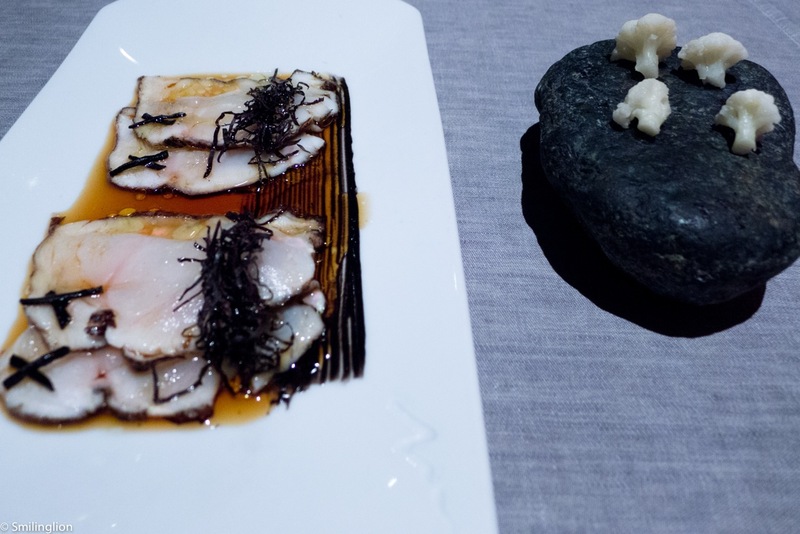 Monkfish with black sesame and black garlic, cauliflower with vinegar and ginger: There was a very heavy Japanese influence in this dish, with the use of soya sauce, black sesame and seaweed. The very thinly sliced monkfish was fresh and had a springy texture, but we felt that there was too much soya sauce and this resulted in its over-dominance over everything else in this dish. Filo, parma, basil and lemon: This was a light cream-filled filo-pastry (the filo was very thin, like a love-letter), and it was quite good. Pizza 24: When chefs create a special name for one of their dishes, you'd expect that this will be something quite unforgettable. In this case, this was supposed to be a trademark interpretation of the pizza, with a thin cracker as a base, topped with mozzarella, tomato, salad and some vegetables. It vaguely tasted like a pizza but was otherwise unremarkable. 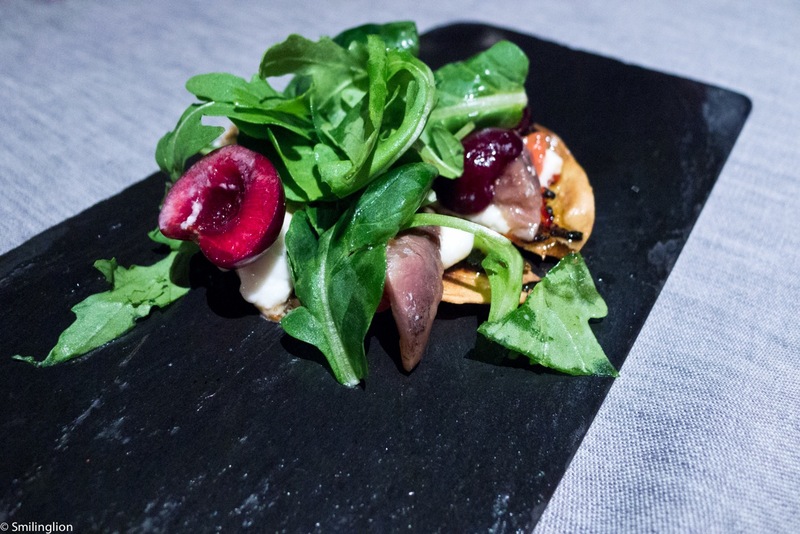 Sponge cerviche: We did not like this at all. It was too spongy, chewy and tasteless. 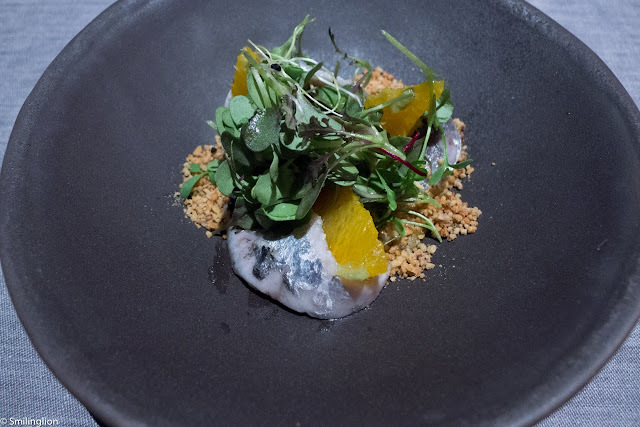 Sardine with orange and fresh wasabi: We thought this was a good dish; the pairing of the strong fishy taste of the sardine was well balanced-out by the citrus and nuts. Tuna tartare: The tuna tartare was very good too. 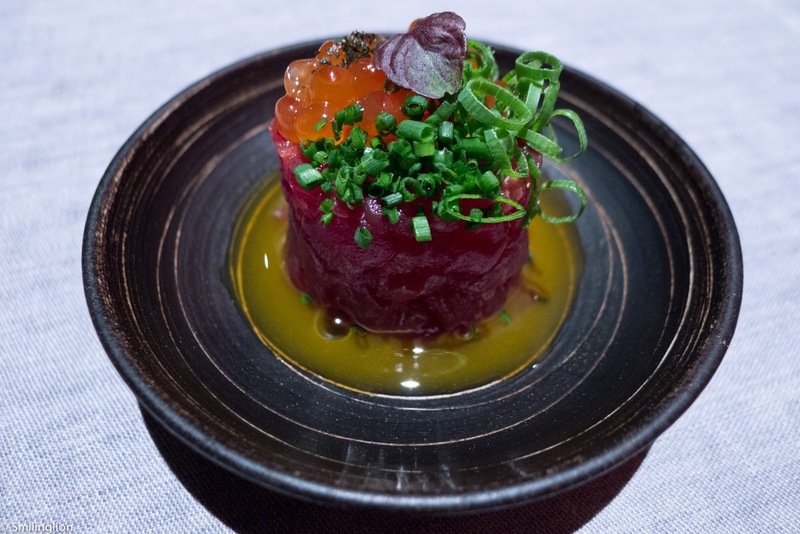 It was finely chopped up and marinated in a manner similar to a steak tartare. 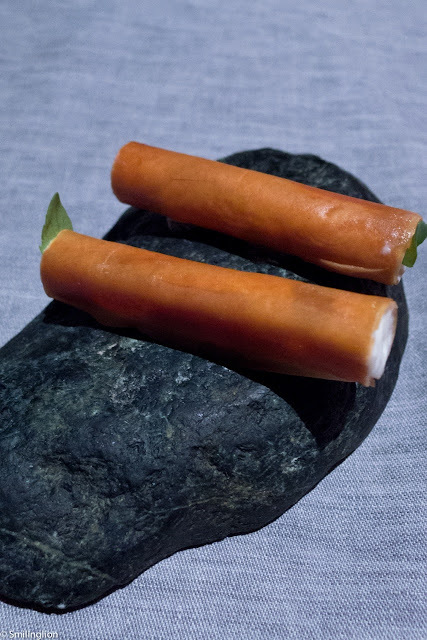 Kinder egg: This was Comerç 24's signature dish. 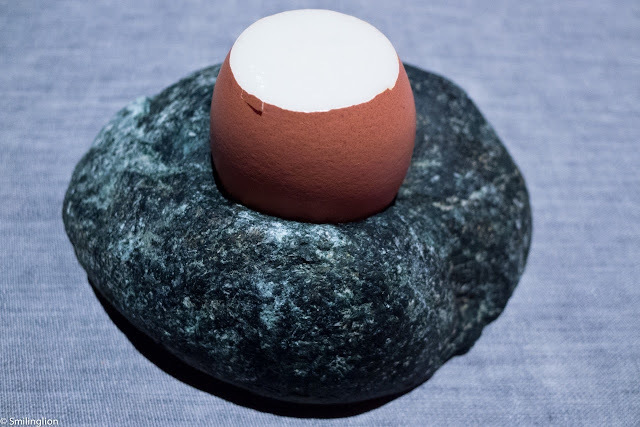 A truffle-infused egg custard similar to the Japanese chawanmushi was in an egg shell and had to be eaten with a teaspoon. It was good but didn't blow our minds. 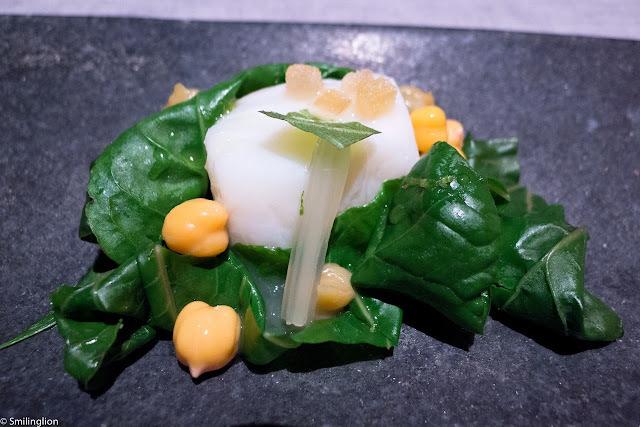 Codfish with chard and miso: The fish was delicately cooked but we felt that it was over-salted. 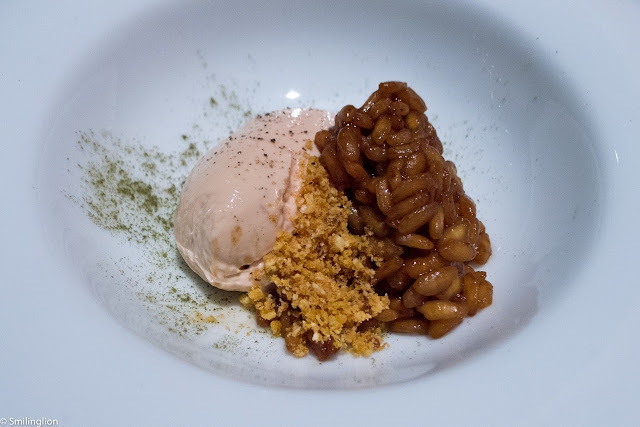 Duck rice with foie: This was actually a very good idea and an excellent pairing of flavours, but there was too much foie gras ice cream and this overwhelmed the entire dish. 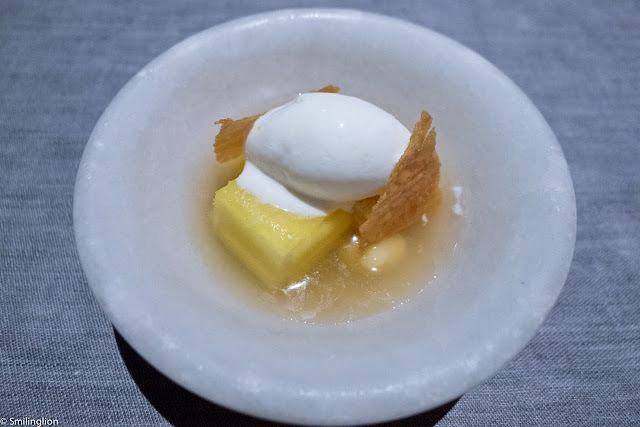 Lemon ice tea: This was a refreshing pre-dessert. 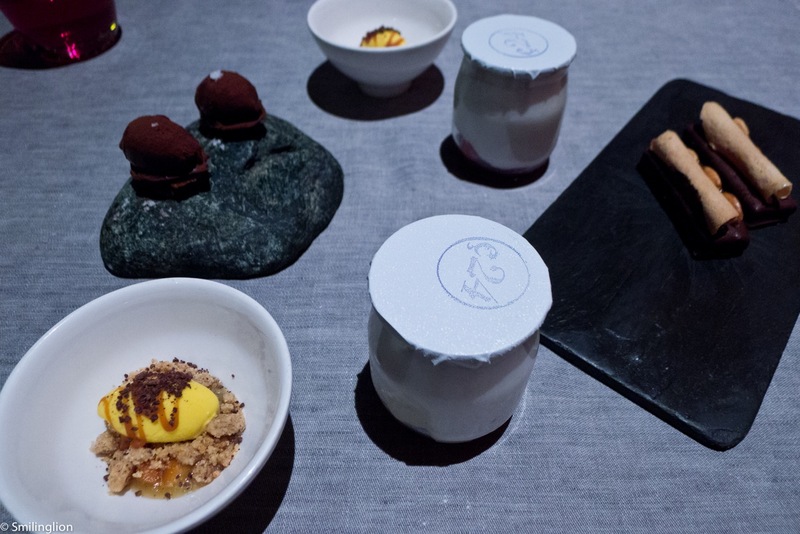 Recuit "Napolita", Apple/Saffron, Nougat with twin cigar and Conguitos C24: The variety of desserts was good and each was decent enough but we would have preferred a proper main dessert to wow us. This felt more like petit fours than dessert. 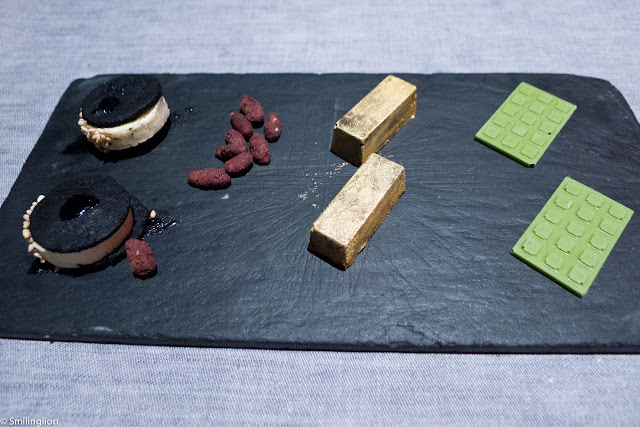 Oreo vanilla and black sesame, Wild pine, Gold bar and Matcha tablet: Of the petit fours, we were particularly impressed by the "Oreos" which were better than the actual ones. Final Thoughts: This was a meal where our dining experience exceeded our enjoyment of the food. For most part, the dishes were quite clever but we felt that many of them lacked the subtlety required to separate the good from the great. In some cases, the food was too salty and in others, the flavours were quite unbalanced. The timing of the food was quite inconsistent, due to (we suspect) the way the kitchen prepared each dish (needing to make larger portions of each dish before subdividing into serving sizes for each guest, resulting in delays caused by the differing eating pace of each table). However, the excellent service more than made up for the long wait we had to endure between some courses, as we were constantly being entertained and checked on by our server. Also, the restaurant had the vibe of a cool cocktail bar, and we were quite happy to sit back and enjoy our wines while waiting for our food.